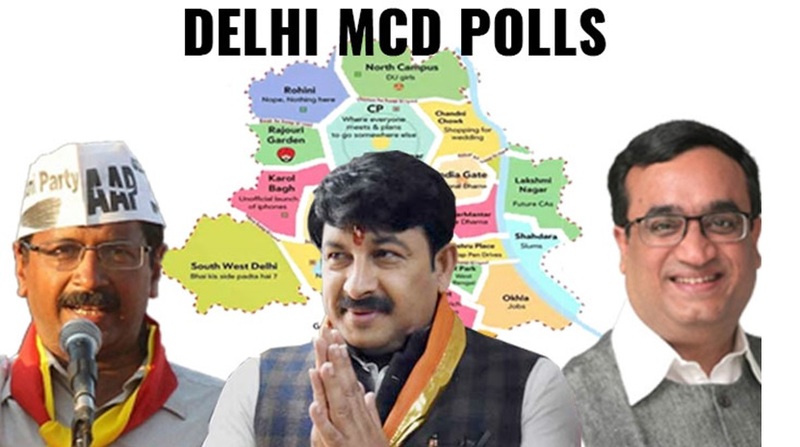 The counting for the Delhi Municipal Corporation (MCD) elections is underway and the Bharatiya Janata Party (BJP) is headed towards an overwhelming majority. The Delhi MCD elections were completed on 23rd April & the results will be out today. A total number of 1,32,10,206 candidates have voted in the MCD elections out of which 73,15,915 men, 58,93,418 women candidates have given their votes. The Delhi MCD elections were been held for 272 councilor positions. The NDMC and SMDC have 104 seats each, EDMC has 64 seats. The election results for South Delhi Municipal Corporation (SDMC), East Delhi Municipal Corporation (EDMC), North Delhi Municipal Corporation (NDMC) results will available today. The complete party wise and Delhi MCD ward wise winners list will be published shortly. 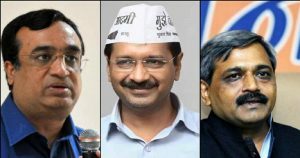 Staging a comeback, the Congress has pushed Delhi’s ruling Aam Aadmi Party (AAP) to the third spot. 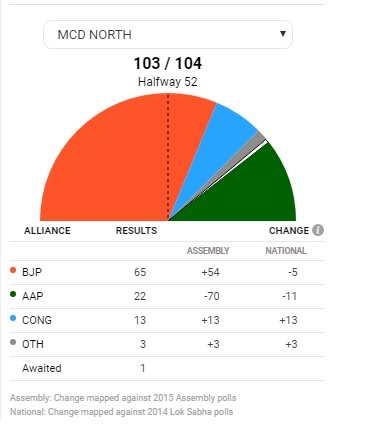 The BJP is leading in all three municipal corporations in the capital, three days after voting took place in 270 wards across the three civic bodies – North Delhi Municipal Corporation, South Delhi Municipal Corporation, and the East Delhi Municipal Corporation. Arvind Kejriwal’s Aam Aadmi Party is neck and neck with the Congress in the race for the second spot in the three civic bodies.